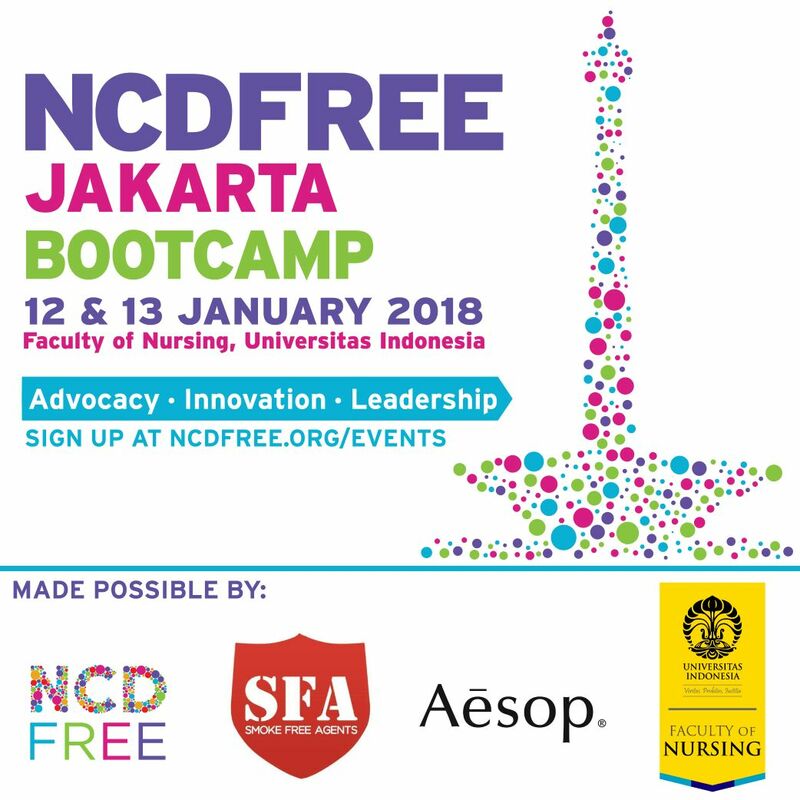 On the 12th and 13th of January, we will be making our Indonesia debut, co-hosting our advocacy & innovation Bootcamp with the Faculty of Nursing, Universitas Indonesia, NCD Alliance Indonesia and Smoke-Free Agents. NCDFree Bootcamp will be held at Faculty of Nursing, Universitas Indonesia, Depok. Our Bootcamp is completely free to attend, however attendees are selected on a nomination basis. You can nominate yourself or a friend by completing the following online form – it only takes 60 seconds to complete.